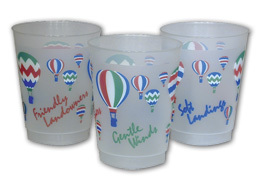 10 oz plastic cups with colorful balloons are perfect for post-flight celebrations and include some of our favorite ballooning catch-phrases: Soft Landings, Gentle Breezes, and Friendly Landowners. 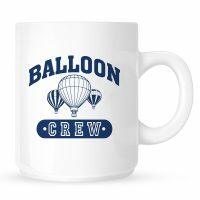 Dishwasher safe and inexpensive enough to give away. 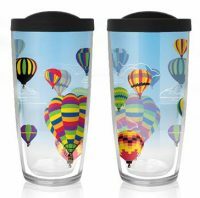 Sleeve of 25 cups.